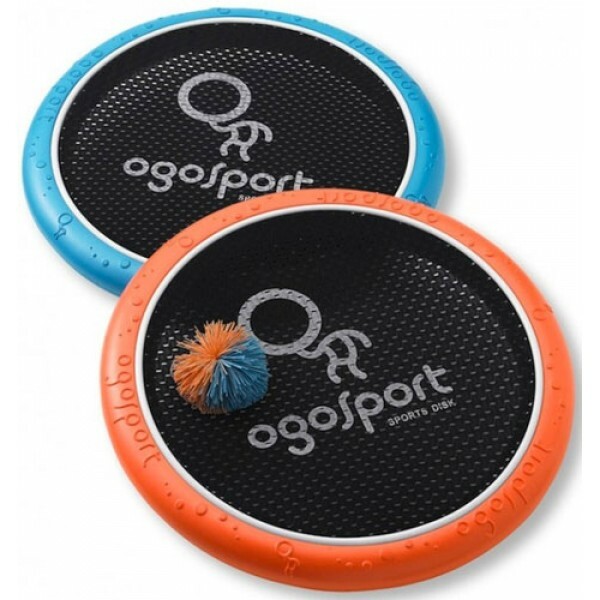 The Mini Ogodisk Super Disk Set is a hand trampoline for balls: Throw, catch, bounce or use it as a flying disk! It's great with water balloons, too. The Super-sized disc provides the largest target area for easy bouncing of any ball -- from tennis balls to beach balls. 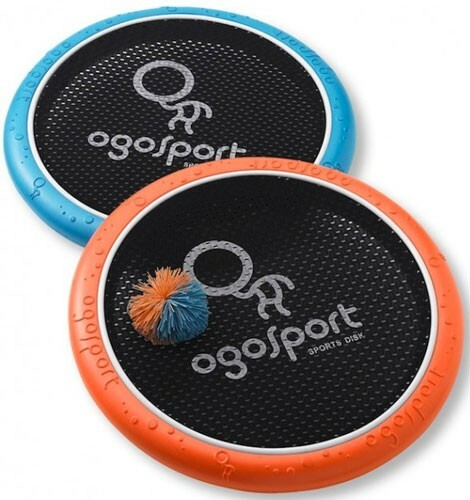 Set includes one bright-blue and one orange disk with one ogosoft ball. 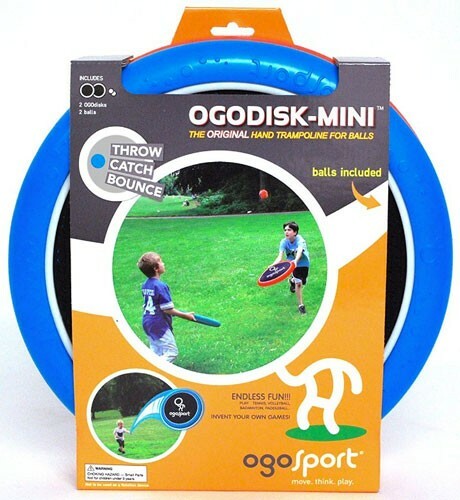 This set allows you to catch and throw balls up to 150 feet, or the disk acts as a throwing disk when used alone. 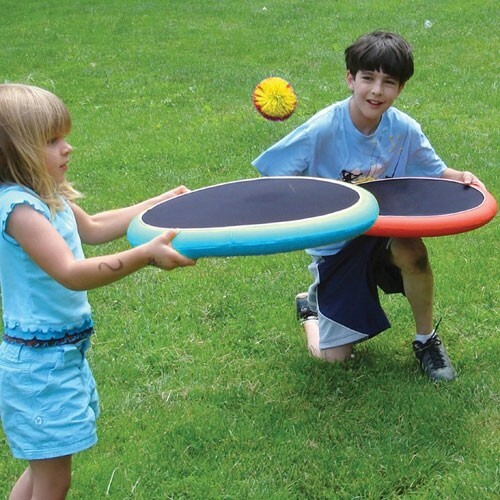 It can adapt to many sports activities -- volleyball, baseball, tennis, even water balloons! If you take it to the pool or beach, you won't lose it -- it floats!